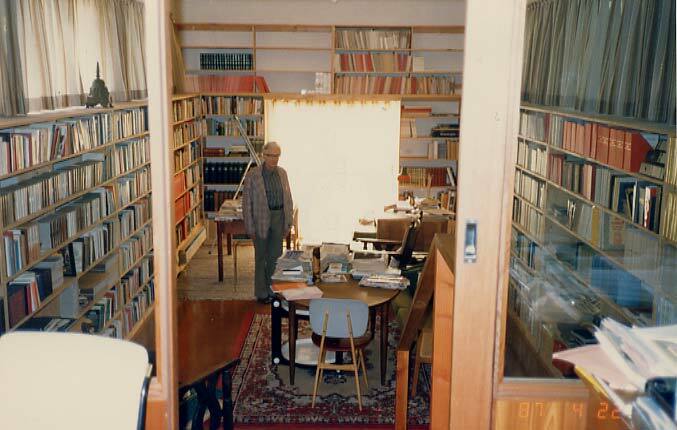 The late Professor Dr. J. W. de Jong had three libraries in his Canberra home. He spent the morning in his morning library, and in the afternoon he took a nap in his afternoon library and continued his work. In the evening, he enjoyed reading books in his evening library. The Indological and Buddhological parts of his library as well as his personal papers are now kept in the Library of the University of Canterbury in Christchurch, New Zealand (http://library.canterbury.ac.nz/art/rels/dejong.shtml).